These are the reviews for 2 Stud Cottage. There are 49 reviews. This was our 5th visit to this property, standards have been maintained over this time and Lyn really does wish that her clients do enjoy their stay. Lin gave us a very warm welcome, and everything was provided for our comfort. A peaceful location, with easy access to coast, Broads, river walks and Norwich using the Park and Ride. The stud farm is a great place to stay. Lin the owner is very welcoming. We found it a very relaxing place to stay. Great welcome pack. Plenty to see and do around the countryside. First class all round. great value for money. stairs a little steep if you have mobility problems. but overall a very enjoyable holiday thank you very much. The cottage was beautiful, everything we wanted was there , decorated beautifully , the owner Lyn was extremely helpful . We will definite go back and recommend to friends and family . Thoroughly enjoyed our break and wish we could have stayed longer. Would definitely like to stay at the cottage again, it was so cosy and comfortable and very well equipped. This is an extremely comfortable holiday cottage. It is spacious and very well equipped and in an incredibly quiet area - no road noise at all, just silence when you wake. It's within easy reach of several National Trust properties and woodland gardens, and also the Broads and coast. The kitchen was well stocked with cooking essentials and much, much more - nothing like some properties we've stayed in where there is not even salt! There was a very generous welcome pack. The only point to mention is that there is not really a garden as such, just a table and chairs outside the door, perhaps 'shared field' is more accurate. However this would be no problem to adults, just maybe if you have small children. All in all, an excellent experience. Brilliantly situated for touring the Norfolk Coast which is really lovely and general sightseeing. Cottage is really comfortable and beautifully furnished. Would recommend The Chequers Pub in the village of Hainford which is very popular and it is a good idea to book if you want to eat - it is very popular. Used the Park and Ride which runs from the Airport to get into Norwich for sightseeing/shopping - it is really good value, free to park at the airport and the buses run every ten minutes . Would definitely book this cottage again. A fantastic property in a great location. Would definitely recommend staying here again. This must be the quietest place that my wife and I have stayed at, a perfect antidote to the normal hassle and bustle of normal life in our usual daily environment. We enjoyed our holiday, especially this cosy, comfortable, extremely clean and well furnished cottage. Wonderful! Absolutely perfect. We enjoyed it so much we have already booked next October and next Xmas! This is without doubt the best cottage we have stayed at. We loved staying in Stud Cottage, very peaceful and comfortable. Furnishings were first class and owner very helpful. Would definitely consider returning some time. A little taste of paradise. Stud Cottage has such a cosy comfortable feel the minute you walk through the door, you feel relaxed, all you need and more is contained in the cottage and the views just complete the setting. A lovely cottage in a fabulous location. It was brilliantly equipped with everything you could ever need in the kitchen. The property was stunning and we would thoroughly recommend this holiday to anyone. 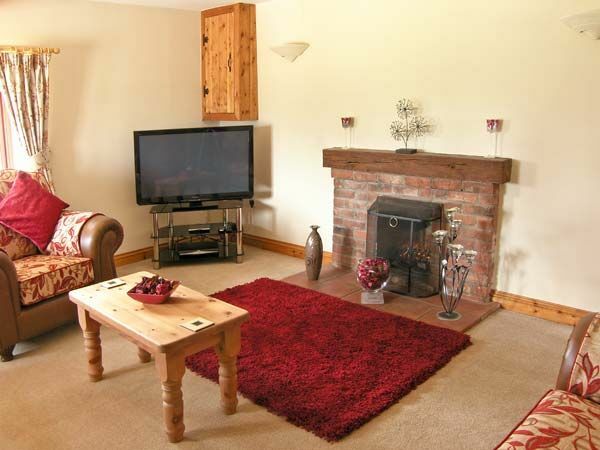 A very peaceful and comfortable Cottage within easy reach of the coast, towns and attractions. Owner was lovely, very helpful and friendly. The Cottage was well equipped and 4 TV's were a bonus! Would definitely recommend to family and friends if visiting this area. Had a lovely week. Fab time had by all. Thank you. Had a very welcoming and helpful host. It was an excellent place for quiet relaxation in delightful rural surroundings, but in easy reach of Norwich. We loved watching the foal and the horses from the kitchen window. The owner was extremely helpful and generous. The cottage is furnished and designed inside to a high standard and feels just like home. The garden and paddock were fantastic. The kids loved the space to play and the animals. Also the location was very central and so perfect to explore Norfolk. The owner was very helpful and friendly. A generally well equipped and well kept cottage. Would love to go back one day. We liked the rural and peaceful location but still near many places of interest. Also the homely feel through the cottage and the tasteful details in every room. All in all a place to happily return to. Liked everything; waking up in the morning hearing the birds and the horses, looking out the window and seeing fields. Feels really homely and I'll rate everything about this cottage 10 out of 10. Definitely highly recommend. Six of us had booked the cottage as a bolt hole after Christmas and to see in the New Year. The cottage was warm, cosy and very welcoming. It provided an ideal base for our stay and we would not hesitate to return or recommend to our family and friends. Everything was first class. The cottage was very well equipped and the owner was very helpful. We would definitely stay there again. A lovely cottage in a beautiful location. The owner was really friendly and helpful and even stocked the kitchen with food. Beautiful decor and a lovely place to spend a few days. Great host, well presented, homely and great outlook. Would highly recommend the stay! A real home from home, fantastic. Had a fabulous stay at the property. Lots of extras when we arrived which really made us feel looked after. The property itself was lovely and comfortable with great wi-fi connection enabling us to keep in touch with family and friends and also search the area for places of interest. 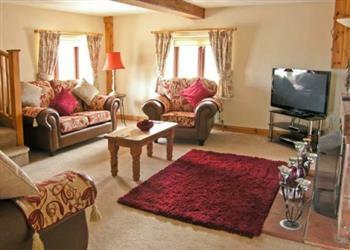 A really nice Cottage which was very roomy well equipped. Felt very at home and comfortable. The Cottage was lovely, we felt very relaxed and at home there. I've never been in such a well stocked Cottage before. The owner was a great help to us and the welcome food she left us was very much appreciated. My children adored being so close to the horses. We will definitely book this Cottage again in the future, I can't recommend it highly enough. This is our second stay at this cottage and just as before the standard is exceptional. It's just like a home from home, excellent stocked kitchen and furnishings. The owner is lovely and very helpful. I have no doubt we will be back again! Lovely cosy cottage, beautiful location, would thoroughly recommend!! Lovely cottage with a homely feel. A warm welcome from owner was much appreciated. Comfortable property. Home from home. Great venue and space outside. Hoping to return. The cottage was remarkable, so many things that it was like home from home. The cottage itself is beautifully decorated and has everything we needed. The location is good, 20 minutes from nearest beaches, and 20 minutes from the nearest city. We had a great time and would definitely go again. The setting was beautiful and the cottage was very homely and very well equipped for a very comfortable and relaxing stay. The owner greeted us personally and was always friendly. Loads of things to do round and about - we were sad to leave and we'd love to return one day. Beautiful horses too... what more could we ask for? A lovely cottage in a peaceful location. Kids really loved seeing the horses. The house is very well equipped, warm and comfortable. Loads of room for the kids to run about. The food pack provided free of charge by the owner was really appreciated. Sky TV in the living room and bedrooms kept the kids happy in the mornings. Although the weather was cold we had a lovely time .The cottage is delightful and the owner was very friendly. If you're looking for other cottages around 2 Stud Cottage, we've got some cottages below which may take your liking. There are 52 cottages within 5 miles of 2 Stud Cottage - and they have reviews too.